Paranormal, meaning "outside the norm," is an umbrella term used to describe a wide variety of reported anomalous phenomena that cannot be explained by current scientific knowledge. Parapsychologists use the term parapsychological phenomena or Psi to describe these phenomena. While research into these phenomena has become well established, due in great part to the pioneering work of J. B. Rhine, many continue to be skeptical and regard belief in the paranormal as based more on faith than science. Beyond specific programs of research, there are numerous anecdotal accounts of paranormal phenomena, ranging from precognitions of events particularly disasters, psychokinetic abilities, sightings of poltergeists, ghosts, and other such creatures, to the miracles recognized in religion. Popular culture also has increasingly become fascinated with the possibilities of life beyond the physical realm, whether in an afterlife or parallel with our physical existence. The term paranormal is used to describe most subjects studied in parapsychology, which deals with parapsychological phenomena (also known as Psi) like telepathy, extra-sensory perception, psychokinesis, and post-mortem survival studies like reincarnation, ghosts, and hauntings. Additionally, the term is used to describe subjects outside the scope of parapsychology, including UFOs, legendary creatures like Bigfoot, purported phenomena surrounding the Bermuda Triangle, and many other non-psychical subjects. Approaching paranormal phenomena from a research perspective is often problematic because, by definition, such phenomena are difficult to explain using existing rules or theory. If they exist at all, paranormal phenomena exist outside of conventional norms. Despite this challenge, studies of the paranormal are periodically conducted by researchers from various disciplines, and psychic phenomena like telepathy and psychokinesis are routinely researched by parapsychologists. Some researchers devote study to just the beliefs in paranormal phenomena, regardless of whether or not the phenomena actually exist. There are several main approaches to investigation of the paranormal, ranging from the purely anecdotal and unscientific to the scientific. Many skeptics feel that most scientific approaches are actually pseudoscience, and have little to no scientific merit. An anecdotal approach to the paranormal involves the collection of anecdotal evidence, or informal accounts of experiences. In contrast to empirical evidence, anecdotal evidence cannot be investigated using the scientific method. The anecdotal approach is by no means a scientific approach to the paranormal, as verification of a phenomenon is totally dependent on the credibility of the party presenting the evidence. Even if such a person is reliable and truthful, the account may be subject to cognitive bias, inductive reasoning, and lack of falsifiability, all of which can make the account useless from a research perspective. Nevertheless, the collection of such evidence is a common approach to paranormal phenomena. 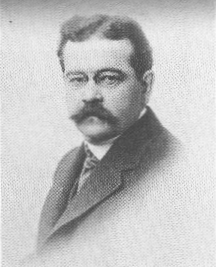 Charles Fort (1874 - 1932) is perhaps the best known collector of paranormal anecdotes. A self-declared "intermediatist," Fort thought of himself as a true skeptic who opposed dogmatism, and remained open to all possibilities. Fort is said to have compiled as many as 40,000 accounts of unexplained phenomena, though there were no doubt many more than these. These notes came from what he called "the orthodox conventionality of Science," which were odd events originally printed in respected mainstream scientific journals or newspapers such as Scientific American, The Times, Nature and Science. Based on his research, Fort wrote The Book of the Damned (1919), New Lands (1923), Lo! (1931), and Wild Talents (1932), in which he discussed such anecdotal evidence and put forth his idea of continuity, where everything exists in an intermediate state between extremes. Reported events that Fort collected include poltergeist activity, crop circles, unaccountable noises and explosions, spontaneous fires, levitation, ball lightning (a term explicitly used by Fort), and unidentified flying objects, among many other things. He is generally credited with coining the term teleportation, and is perhaps the first person to explain strange human appearances and disappearances by the hypothesis of "alien abduction," and was an early proponent of the extraterrestrial hypothesis. Fort is considered by many as the father of modern paranormalism, which is the belief in paranormal phenomena. Experimental investigation of the paranormal is largely conducted within the field of parapsychology. Although parapsychology has its roots in earlier research, it is largely credited as having begun with the research of J. B. Rhine in the 1930s. Rhine popularized the now famous methodology of using card-guessing and dice-rolling experiments in a laboratory to find a statistical validation of extra-sensory perception. Another well-known technique for testing ESP is found in ganzfeld experiments, where a subject (receiver) is asked to access a target through psychic means. The target is typically a picture or video clip selected randomly, which is viewed in a remote location by another subject (sender). Ganzfeld experiments attempt to create a type of audio and visual sensory deprivation to remove any kind of external stimulation that might interfere with the testing or corrupt the test by providing cues to correct targets. The expected hit (correctly identified target) ratio of such a trial is one in four, or 25 percent. Deviations from this expected ratio might be seen as evidence for Psi, although such conclusions are often disputed. In the 1950s, organizations such as the Parapsychology Association and Parapsychological Association began to be formed, giving researchers a forum to discuss and compare the results of their research. In 1969, the Parapsychological Association became affiliated with the American Association for the Advancement of Science. That affiliation, along with a general openness to psychic and occult phenomena in the 1970s, led to a decade of increased parapsychological research. During this time, other notable organizations were also formed, including the Academy of Parapsychology and Medicine (1970), the Institute of Parascience (1971), the Academy of Religion and Psychical Research (1972), the Institute for Noetic Sciences (1973), and the International Kirlian Research Association (1975). Each of these groups performed experiments on paranormal subjects to varying degrees. Parapsychological work was also conducted at the Stanford Research Institute during this time. With the increase in parapsychological investigation, there came an increase in opposition to both the findings of parapsychologists and the granting of any formal recognition of the field. The techniques as well as the potential gullibility of researchers were often questioned. Skeptics founded the Committee for the Scientific Investigation of Claims of the Paranormal (CSICOP) in 1976, now called the Committee for Skeptical Inquiry, and its periodical, Skeptical Inquirer. The goal of the committee was not to reject claims of the paranormal, but rather to "carefully examine such claims" and to "commission research by objective and impartial inquirers". As astronomer Carl Sagan put it, "extraordinary claims require extraordinary evidence," and parapsychologists continue to try to find enough evidence to convince the skeptics. While parapsychologists look for quantitative evidence of the paranormal in laboratories, other researchers immerse themselves in qualitative research through participant-observer approaches to the paranormal. Ghost hunting is a familiar type of participant/observer research. By immersing oneself in the subject being studied, a researcher seeks to gain understanding of the subject. A study might consist of a researcher visiting a place where alleged paranormal activity is said to occur and recording observations while there. Participation levels may vary; researchers may just observe, or they may conduct a séance or participate in other activities said to cause paranormal activity. Criticisms of participant-observation as a data-gathering technique include an increased chance of non-objectivity, unsystematic gathering of data, reliance on subjective measurement, and possible observer effects (where the observation may distort the observed behavior). Ghost hunters in particular are often said to suffer from bias, as well as psychosomatic response and hysteria, where emotions, expectations, and stress manifest as physical symptoms often attributed to the supernatural. Specific data gathering methods, such as using Electromagnetic field (EMF) readings to indicate the presence of a ghost, have their own criticisms beyond those attributed to the participant-observation approach itself. 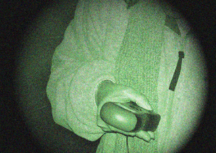 The participant-observer approach to the paranormal has gained increased visibility and popularity through reality-based television shows like Ghost Hunters, and the formation of independent ghost hunting groups. In seeking a theory to explain psi abilities like telepathy, some parapsychologists have looked to aspects of quantum theory as a possible explanation. Apparent parallels with telepathy exist in the quantum world; two quantum particles that bump into one another become "entangled," and afterwards retain a connection despite being a great distance apart. A change in one half of the entangled pair instantaneously effects a change in the other half. This quality, known as "non-locality," was dubbed "spooky action at a distance" by Albert Einstein, who had difficulty accepting such a concept. If quantum particles can seemingly communicate to each other instantaneously, the question is raised, "why can't humans also do so?" Some physicists have pondered whether quantum mechanical effects would permit forms of communication, perhaps including telepathy. Nick Herbert has expressed the view that, according to quantum theory, it may be possible to share raw awareness or emotion, but be unable to transfer data. It is also possible that such properties of "non-locality" may apply to the mechanism of remote viewing and other psi abilities. There have been a great number of reports of paranormal events occurring within a religious context, from the scriptural parting of the Red Sea by Moses to the visions of the Virgin Mary that have taken place at places like Lourdes, Fatima, and Medjugorje. The paranormal takes a central part in shamanism, where shamans are often thought to possess the power of healing and the ability to travel outside their body, and Hinduism, where paranormal abilities are part of spiritual growth. While some religions such as the New Age movement embrace the possibility of psi phenomena, the paranormal meets with more resistance in more structured religions like Catholicism. Numerous cases of weeping or bleeding statues and other such paranormal events have been proven to be fraud, and therefore the Catholic Church puts such phenomena through an extensive investigation process before certifying an event as genuine. While most religions contain a certain amount of belief in the paranormal, per se, such beliefs are usually attributed to a higher power. Where parapsychologists and other secular investigators may view the paranormal as basically originating within humanity or an unseen part of the natural world, religion tends to view paranormal phenomena as intentionally performed by a higher power, often to benefit the spiritual lives of humanity. Such events, like the visions and healings at Lourdes, are often called "miracles" and are considered messages and blessings from God. In addition to such God-given blessings, however, are also paranormal events attributed to demons, Satan, or other such forces of evil. Possession by demons and exorcism are two such examples of negative paranormal phenomena. While the validity of the existence of paranormal phenomena is controversial and debated passionately by both proponents and by skeptics, surveys are useful in determining the beliefs of people in regards to paranormal phenomena. One such survey of the beliefs of the general United States population regarding paranormal topics was conducted by the Gallup Organization in 2005. This survey polled about one thousand people, and found that nearly three quarters of them believed in at least one of ten listed paranormal phenomena. Items included in the survey were as follows (the percentage of respondents who indicated that they believed in the phenomenon is in parentheses): Extrasensory perception (41 percent), Haunted houses (37 percent), ghosts (32 percent), telepathy (31 percent), clairvoyance (26 percent), astrology (25 percent), communication with the dead (21 percent), witches (21 percent), reincarnation (20 percent), and channeling spiritual entities (9 percent). Only one percent of those surveyed believed in all ten items, and 27 percent did not believe in any. A survey conducted in 2006 by researchers from Australia's Monash University sought to determine what types of phenomena people claim to have experienced and the effects these experiences have had on their lives. The study was conducted as an online survey with over 2,000 respondents from around the world participating. Seventy percent of respondents believed an unexplained event changed their life, mostly in a positive way, 80 percent reported having had a premonition, and almost 50 percent recalled a previous life. While the paranormal seems to be accepted by the majority of the general populace, scientific circles are generally more skeptical, and many scientists are downright critical. Logical and scientific reasoning fails to support the paranormal, especially when such a large portion of evidence is anecdotal in nature, and the remaining evidence is often far from definitive. Additionally, there is a long history of various types of fraud associated with the paranormal, a fact which leads many to dismiss all paranormal phenomena as fraud. Because of its very nature, the paranormal cannot be explained through science; as new scientific developments and concepts emerge, there may some day be scientific evidence to support some paranormal phenomena. Despite the amount of skepticism and controversy that often accompanies the paranormal, belief in paranormal phenomena has had some acceptance in professional and official circles; police departments have used psychics like Allison DuBois to ascertain information leading to the capture and arrest of criminals. Beginning in the 1950s the Soviet Union set up a number of research centers to study the applications of what was referred to as "psychotronic" research, with the intent to perform mental spying, as well as long distance mind control and telepathic assassination. By 1970, the Soviets had invested considerable funding into psychotronic research. At that point, the CIA became concerned about the amount of research the Soviet Union was doing in paranormal subject areas. Concerns about the potential success of Soviet research prompted the United States to launch a series of programs themselves. The initial program, named "SCANATE" (scan by coordinate) was first funded in 1970 to research remote viewing (the ability to clairvoyantly observe a remote location). Testing was limited to just a few promising individuals, who were taught to use their talents for "psychic warfare." Proponents claim that, particularly in the later stages of the training, the accuracy of remote viewing exceeded 65 percent. The remote viewing program, later known as "STAR GATE," carried out hundreds of experiments. Three main techniques for acquiring information were used: Coordinate Remote Viewing, where subjects were asked what they "saw" at designated locations, Extended Remote Viewing, which used a combination of relaxation and meditation, and Written Remote Viewing, which combined channeling and automatic writing. This last method was the most controversial and often regarded as the least reliable. Remote viewers allegedly located lost aircraft, reported information on enemy submarine specifications, and located SCUD missiles. In 1995, the CIA commissioned a report from two experts to evaluate the past performance of the STARGATE program. Various techniques used by the program were evaluated, such as the ganzfeld method and the "beacon and viewer" method, where the subject (viewer) consciously tried to retrieve images sent by an operative (beacon) who would travel to a location or look at a picture in National Geographic Magazine. One of the commissioned experts, Jessica Utts, a statistician, found that such tests proved remote viewing to be a real and measurable phenomenon. The other expert, Raymond Hyman, a psychologist, asserted that STAR GATE had proved nothing, and that deviations from a chance baseline do not constitute proof. However, Hyman agreed that testing methods were sound, and that findings were promising enough to merit continued research. Paranormal phenomena, by definition, lacks scientific explanation. The word "perinormal" ("in the vicinity of" normal) was coined to describe phenomena that were once thought to be paranormal, but have since been explained by science. One example of such a phenomenon is electromagnetic fields (EMF). At one time EMF's existence was debatable from a scientific perspective but was later proven real and is currently accepted by scientific and medical communities. Other examples of perinormal phenomena include medical oddities or medical conditions which at first may baffle medical professionals, and later turn out to have a mundane cause. An excellent example of a perinormal-type medical oddity would be the "Pregnant Man" from Nagpur, India. When doctors went to remove what they thought was a tumor causing the man to look pregnant, they instead found a human being inside the man's abdominal region. What could have been misconstrued as the paranormal case of a pregnant man, was actually the perinormal case of fetus in fetu; the man's twin brother had been growing inside his abdomen for 36 years. The public is often fascinated by that which it does not understand, and the paranormal is often the subject of television, film, and literature. From Washington Irving's short story Legend of Sleepy Hollow to Stephen King's novel Pet Semetary, the paranormal has fascinated writers and audiences throughout the ages. Ghosts in particular have been the subject of countless campfire stories, legends, films, and television programs. Movies like Ghostbusters have explored the fictional possibilities, and television series like the X-Files have depicted regular investigation of a wide range of paranormal phenomena. Numerous documentaries and reality-based television shows and movies have also been made about the paranormal. ↑ Robert Carroll, "Charles Fort" The Skeptic's Dictionary. Retrieved April 27, 2007. ↑ "About Fortean Times" Fortean Times. Retrieved April 27, 2007. ↑ "Committee for the Scientific Investigation of Claims of the Paranormal" Answers.com. Retrieved April 30, 2007. ↑ "Carl Sagan Quotes" Quotes4all.net. Retrieved April 30, 2007. ↑ Bob Carter and Cody Polston, (2006) "Psychological factors in Ghost Hunting" Southwest Ghost Hunters Association. Retrieved April 30, 2007. ↑ Michael Brooks, "Entanglement: The Weirdest Link" (New Scientist 181 (2449)(March 27, 2004): 32. Retrieved April 19, 2007. ↑ "Consciousness and Quantum Reality" (Thinking Aloud 1998). Retrieved April 19, 2007. ↑ November 17, 2007. "'Spooky survey' gets big response" ABC Science Online. Retrieved April 30, 2007. ↑ Gerald O'Donnell (2007) "Remote Viewing Archives" Academy of Remote Viewing through Space and Time. Retrieved May 1, 2007. ↑ "Stargate" FAS Intelligence Resource Program. Retrieved April 23, 2007. ↑ D. Trull, 1998. "Operation Star Gate: U.S. Intelligence and Psychic Spies" ParaScope. Retrieved May 4, 2007. This page was last modified on 10 May 2009, at 19:08.